Events such as the corporate payments scandal, and the bankruptcy of the Penn Central and several other major corporations, caused the SEC and Congress to focus on accounting and auditing practices, and called into question the conduct of large accounting and auditing firms and the SEC's existing approach to the self-regulation of the profession. 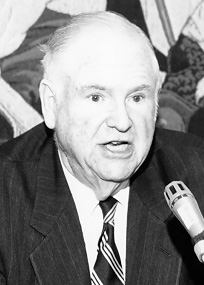 The U.S. Senate held hearings in 1976 on auditor performance, and published highly critical findings in The Accounting Establishment, known as the Metcalf Report, which contained a long list of suggested reforms. (57) In 1978, the U.S. House of Representatives proposed the establishment of a federal organization to regulate accounting practice before the SEC. In response, the AICPA proposed regulations of certified public accounting firms for SEC and private practice, with peer-review of the CPA systems of quality control every three years. The proposal also established a public oversight board of five members to review and report on the SEC practice section's activities. The SEC advocated that the AICPA be given time to regulate the professional practice of its members. At the same time, the SEC parlayed Congressional interest in additional regulation to encourage the AICPA toward expanded self-regulation. (58) While the accounting profession continued to take an activist role in its own regulation, changes to the accounting industry were to an extent driven by the SEC's recognition that principled accounting and corporate governance issues were an essential part of promoting and providing for adequate disclosure of facts to investors. This recognition re-built the infrastructure for the growing role the SEC would play in the regulation of securities-related accounting in the years ahead. John C. Burton - "Legal Problems of Bank Regulators"
Letter from Michael Macchiaroli, SEC Division of Market Regulation to Ronald Consiglio, Deloitte Haskins & Sells on Bateman Eichler, Hills Richards, Inc.